We often see stepparents (especially stepmoms) feel the need to jump into the blended family playing the role of “mother”. Whether it’s being the means of transportation for the stepkids, cooking for them, doing their laundry, checking school grades/homework, making doctor’s appointments, attending parent-teacher conferences, or disciplining the stepkids, I could go on and on. Here’s where the problem comes with all this. Actually, there are several problems that can result from the stepmom jumping all in. One problem is it can cause issues with the bio mom. By jumping in all gung ho, she could easily feel that you are trying to replace her in her kid’s lives. Yet, another problem being “super stepmom” can cause is resentment from the stepkids towards the stepmom. The stepparent needs time to bond with the stepkids before becoming their “drill sergeant”. Still, another problem that can be caused by these “super stepmom” is the stepmom gets overwhelmed and burnt out over time. Eventually, she begins to feel unappreciative, taken advantage of, and like she’s raising someone else’s kids without their help. Don’t try to be “super stepmom”. 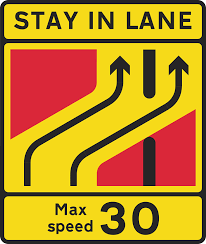 Stay in your lane as your partner’s helper. Treat the stepkids as you would a friend’s kids and don’t take on the parenting role. The stepkids need the bio parents to do the parenting. The bio parents need to do the parenting. The stepparents have the opportunity to be good role models and trusted adults for the stepkids over time. Take things nice and slow.